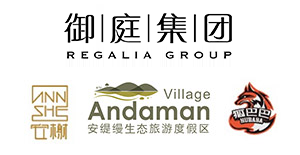 Regalia Group, a group dedicated to the development of tourist resort complexes and boutique hotels. Its brand, “Andaman” represents a new way of life. It is a combination of innovative concept holiday and leisure. It combines the concept of health care and work out to meet the diversified and individualized needs of tourists through the experience of innovative tourism. “Tourism Development of Regalia Group” – City Resort, not far from the city, but has a paradise style, its style close to nature and original ecosystem, where you will acquire the experience of recuperation and comfortable. The scenery of each project of Regalia Group is extremely beautiful. The tourism area has a variety of activities and is famous for its intimate service. Andaman Village is a relaxing retreat nestled in secluded seclusion. Here is the cultivation resort that those discerning travelers are always looking for, it is a paradise that blends in with the local culture, ecology and natural beauty. At Andaman Resort, you are our family, all the staff are your best friends. We have created an unforgettable travel experience, and we warmly welcome all you guests and make efforts to ensure all guests feel comfortable. We have the best Chinese and Western cuisine, which are all prepared for our guests. Our distinctive services and attention to details would ensure that all your expectations could be met. Regalia Group has been committed to creating a serious and positive social image. We rationally grafted and improved our resources to create more local employment opportunities as the benefit for local communities and residents. We encourage guests to explore and integrate local customs and practices. In addition, we also seek to work with community leaders to promote the sustainable and healthy development of tourism in the region. We understand that hotel development is closely linked to the balance of the community’s ecological environment. Therefore, Regalia Group attaches importance to protecting the natural environment around the hotel. As part of our efforts to protect the environment, Regalia Group has been devoted to developing strategies for low-carbon energy saving and minimizing the impact on the local environment by providing training on ecological practices for all staff and is used in our day-to-day operations More efficient environmental system.